Please present me with the young girl who decided to leave school at 10 in order to be married at 12. This is just because a lot of girls were not properly educated, sometimes because these countries decided the rights of these girls were not exactly the same rights as the young man. That is not acceptable. 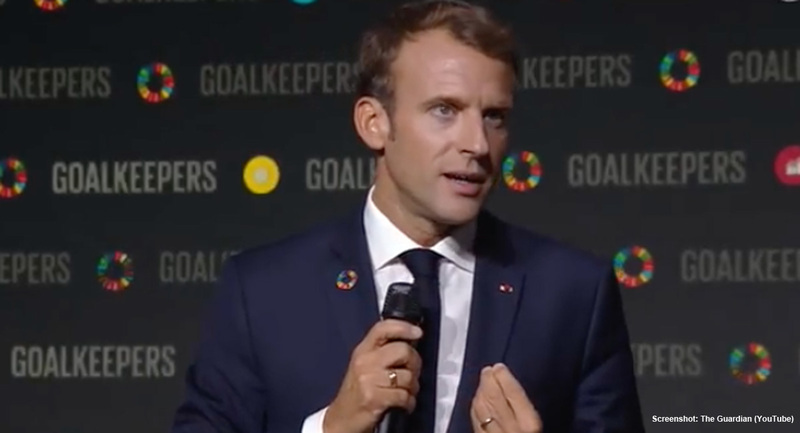 While Macron is correct that forced child marriages are completely unacceptable, he seemed oblivious to the fact that it is insulting to group the idea of large families in with this exploitation of young girls. On social media, people around the world fired back. My beloved wife Jocelyn has a BA from Loyola University Chicago. Some have come forward to defend Macron, pointing out that he only was arguing in favor of giving African women greater access to “family planning” — but these people ignore that African women are not clamoring for access to abortion and birth control, and that efforts by westerners like Macron (and Bill and Melinda Gates) to pushing these things onto African women is viewed as another form of population control, eugenics, and colonialism. It’s one thing to speak out for the need of educational access for girls in Africa, and to decry the practice of forced child marriage. It’s quite another to slam mothers of large families as uneducated victims who would never have chosen their children if they’d only had the choice.